Chinese heavyweight Huawei shipped 108 million smartphones in 2015, exceeding its own expectations with a 44 percent increase in sales, compared to 2014. That figure was only dwarfed by Apple’s 231.5 million iPhones shipped last year, and Samsung’s 317.2 million, according to Strategy Analytics data. Huawei now becomes one of the world’s three biggest mobile brands. With so many of excellent devices launched, such as, Huawei Mate S, Honor 7, Ascend P8, etc. more and more people become loyal users of Huawei mobile. If you’ve been a long term user of iPhone and have hundreds or even thousands of songs on iTunes, once switch to a Huawei phone, moving your iTunes music onto your new device should on the top of your to-do list. 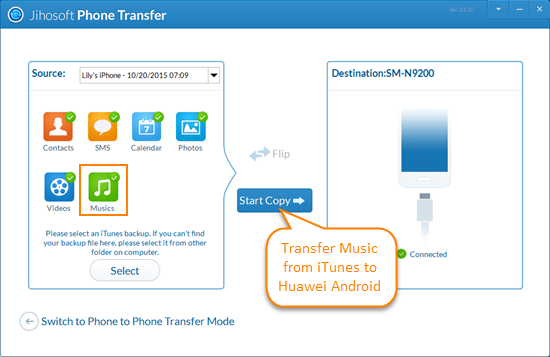 In this guide, we will walk you through how to transfer music from iTunes to Huawei Android phone step by step. 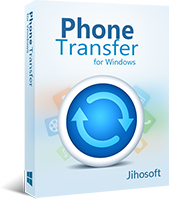 Please download the iTunes to Android Transfer software using the link below. After the download is complete, double-click the .exe file and follow the onscreen instructions to get the program installed on your computer. Step 1: Run the iTunes to Huawei Transfer software. In the “Restore Data” section, select “From iTunes Backup” to enter the transfer window. Step 2: The program will immediately detect all iTunes backup files in this computer. Choose the one you need and use a USB cable to get your Huawei connected. Step 3: Mark “Music” and any other data like videos, photos, or contacts that you wish to move, then click on “Start Copy” to begin the transfer process. 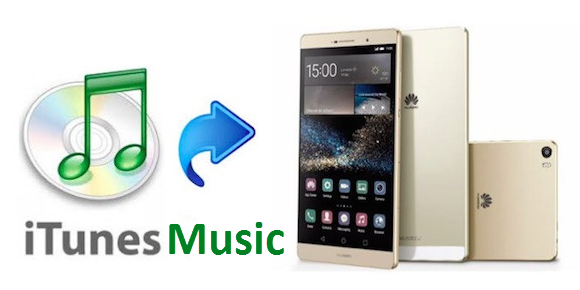 Now all your iTunes songs will be quickly moved to your new Huawei Android phone. As well as Huawei, you can also sync iTunes music to Google Nexus, Samsung Galaxy, HTC One, LG, Sony Xperia, Motorola, and more Android phones.